Google+ Mom to 2 Posh Lil Divas: F is for Flower - How Does Water Move Through a Stem? 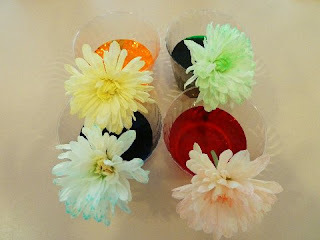 F is for Flower - How Does Water Move Through a Stem? 1. Fill glasses 1/3 to 1/2 way with water and add enough food coloring so that the color looks deep/dark. 4. 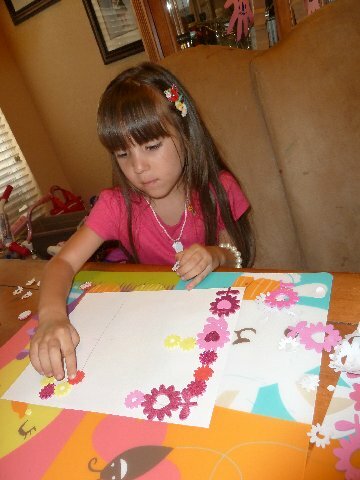 Observe throughout the day - you should see petals gain more and more color until you have a colored flower. How did the white carnation change color? Why? The stem transports water and minerals upwards from the roots through the plant. 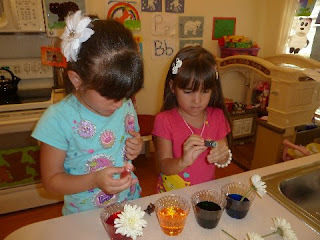 Since we colored the water we saw how it traveled through the stem upward to the petals. 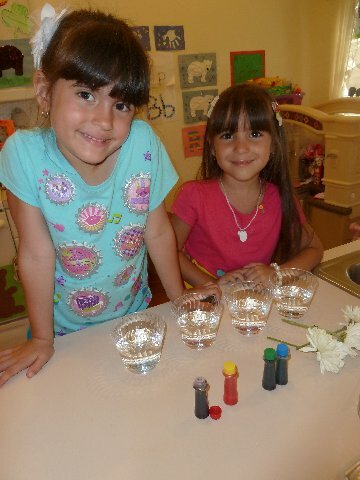 The Lil Divas LOVED this experiment. They were fascinated by the changing color of the petals. The experiment really helped them see how water travels through the stem to the other parts of the plant. 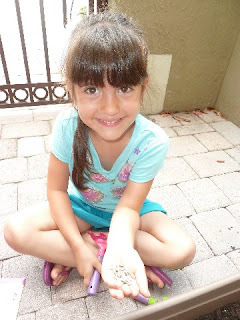 We also planted our flower garden today! :) Keeping my fingers crossed that we get some flowers! I have a notorious black thumb but I am hopeful that these will grow. One thing is for sure - we certainly enjoyed planting together. 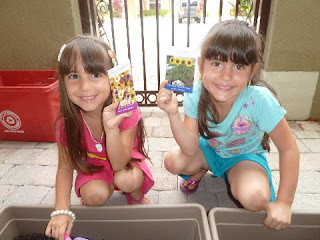 Hope you enjoyed our experiment, the sneak peek at our (hopefully) future flower garden, books and letter Ff activities! More to come as we continue to explore Flowers this week! 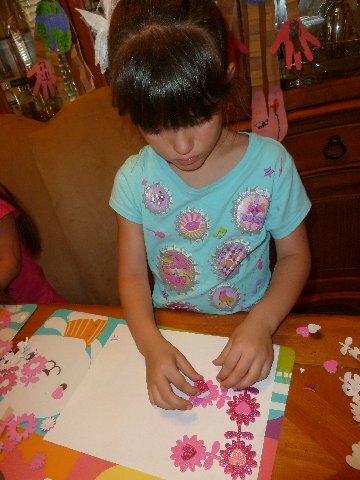 I remember dying flowers when I was a kid, I thought it was so cool. Following you from the Tuesday trails hop. Oh how fun!! I love the idea of coloring the flowers - never thought about it before :) Thanks so much for sharing! That is so cute. 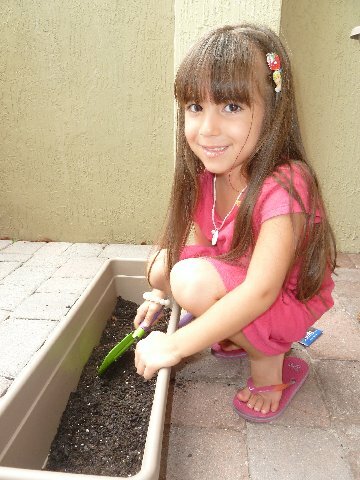 I like the garden it will teach them about our planet and how important it is to take care of it and to grow our own food. The way things are going today, it might be a good idea to grow your own food. I am sure they were fastinated with the flowers and how they absorb water or paint. Loved it. I remember doing that experiment in school. Glad to see that it still fascinates kids!! 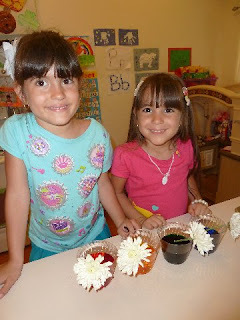 great idea....my daughter loves flowers and food coloring so this is perfect. What a pretty experiment. I bet they loved seeing the flowers change colours. Lovely indeed! Your experiment went so well! My flower didn't get this dark. 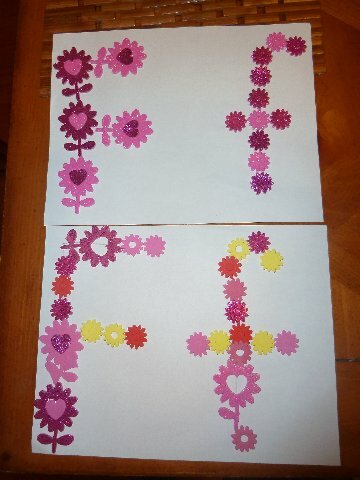 I love the flowery "f"'s. How long does it take before the flower starts to die or to fall its petal off?